On Saturday, I joined a group for a wine tour of four wineries in the Santa Rita Hills Appellation (LINK), near Santa Ynez, California. The four were: Tyler, LaFond, Margerum, and Ken Brown. 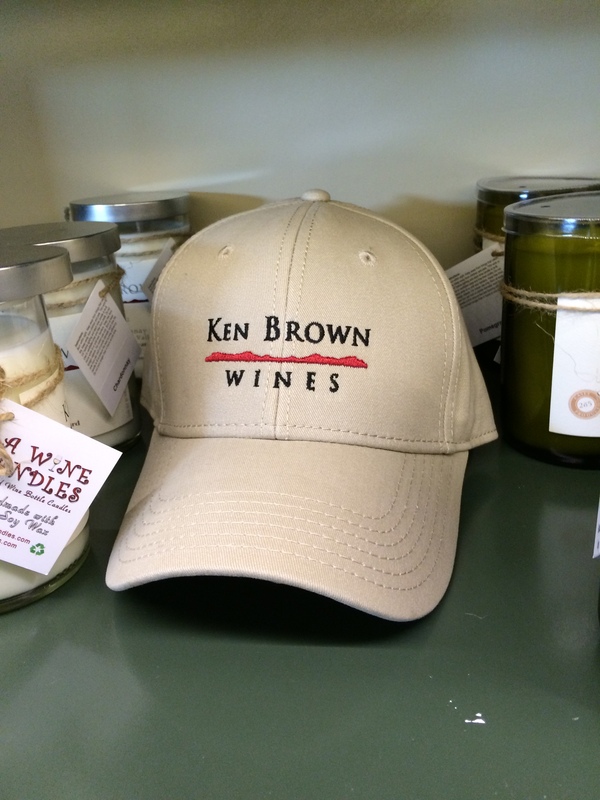 I will blog about each separately, beginning with Ken Brown Wines (LINK). The Santa Rita Hills are located about 30 miles north of Santa Barbara. A unique geological area, they are on a circular land mass that separated from the North American tectonic plate about 12 million years ago. Since then, that circle of land has been turning about 1/4 inch per year, so that now, the mountain ranges and valleys run east to west instead of north to south. This provides a “chute” for cool breezes and moisture from the Pacific Ocean to come farther inland and created one of the perfect places on earth to grow Pinot Noir. The film “Sideways” (LINK) was filmed here (before the appellation was established), and the rest is, well, a rich history. 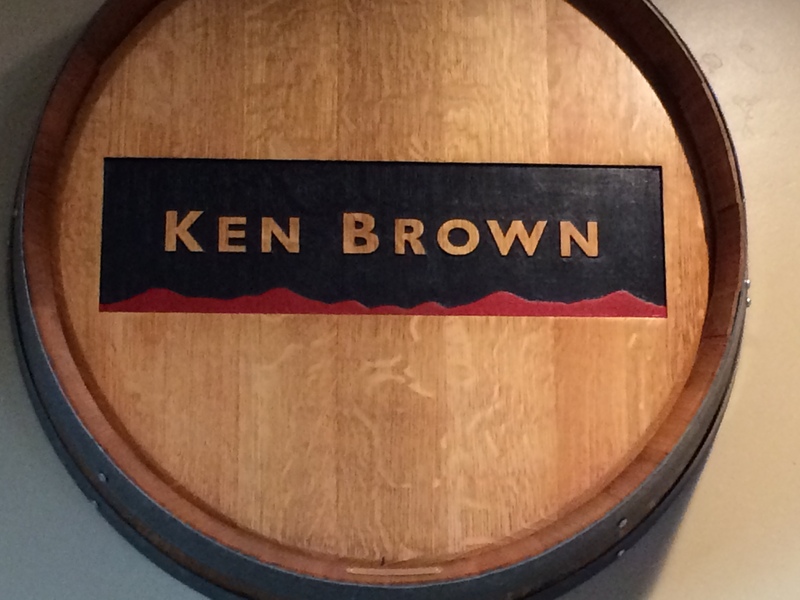 Ken Brown is a legendary winemaker in the Santa Rita Hills area. 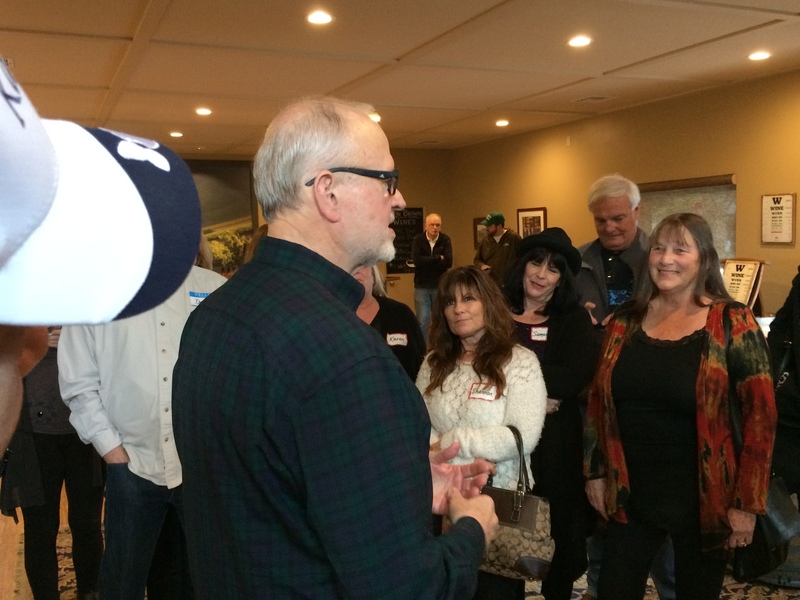 He began at Zaca Mesa Wines. His first name is actually Byron, and after Zaca Mesa, he started Byron Winery in 1985, selling it to the Mondavi Family in 1990. He said that both of those wineries got to the level of 80 to 90,000 cases in annual production, and by that point, actually before that, it was no longer fun for him. 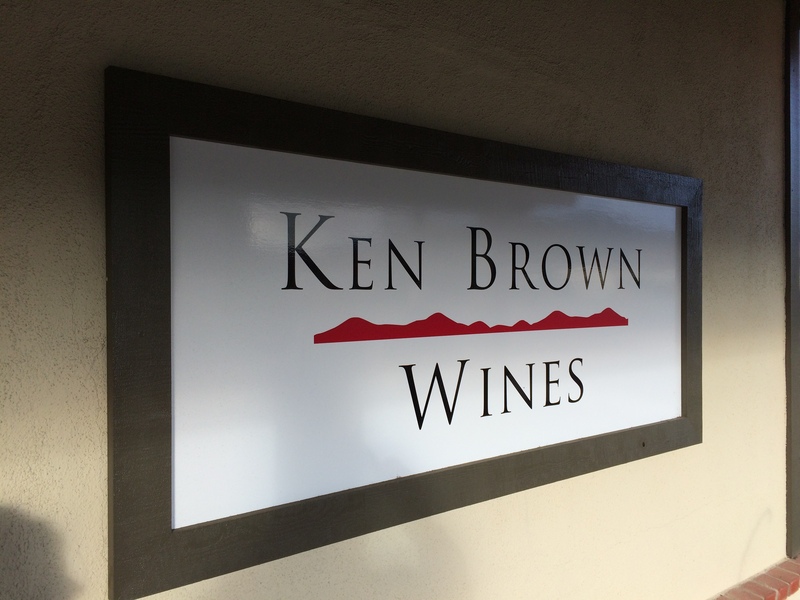 The current annual production at Ken Brown Wines is just about 3,000 cases in total. Along the way, Ken Brown has trained a number of winemakers in the area, including Jim Clendenen of Au Bon Climat and Bob Lindquist of Qupé Winery. His tasting room is in Buellton, CA, just off the 101 Freeway. It is very nicely appointed, with a corkwood floor that got a lot of attention from some of the women on the tour. Ken Brown Holding forth about his Wines. Ken was very expansive in describing his process of winemaking and each of his wines. 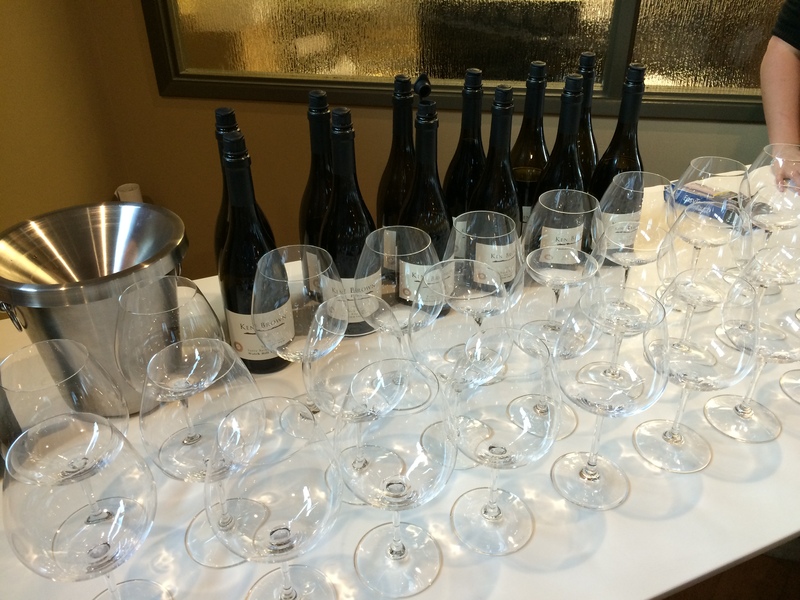 We tasted one Chardonnay, five Pinot Noirs and one Syrah. My general comment is that his wines are amazingly well-crafted in a Burgundian style, not big fruit bombs like many California wines. In fact, some in our tour group thought his wines were not big enough. I found them to be nuanced, balanced, and each had different characteristics. I just about fell in love. The Chardonnay was beautifully made, and very oaky – not to my taste, but you could readily smell, taste, and see the quality of the wine. Several bottles of this were purchased by tour members. Each of the five Pinots, one a blend of two Santa Barbara appellations, the rest from Santa Rita Hills, two blends of vineyards and two single-vineyard wines, had a strong sense of place and a very nice blend of fruit, mineral, and spice. I won’t go into all of the individual wines in detail – mainly because it is unlikely you will be able to get any! All are small production, and available only through the winery (LINK to wine shop site). I purchased the 2012 Zotovich Vineyard Pinot Noir (LINK), a very complex Pinot; the 2012 Santa Barbara County Pinot Noir (LINK), his most approachable Pinot – fruity and very refreshing; and the 2012 Watch Hill Syrah (LINK), a rich fruit-forward Syrah with great complexity. If we were not moving soon, I would have bought more. 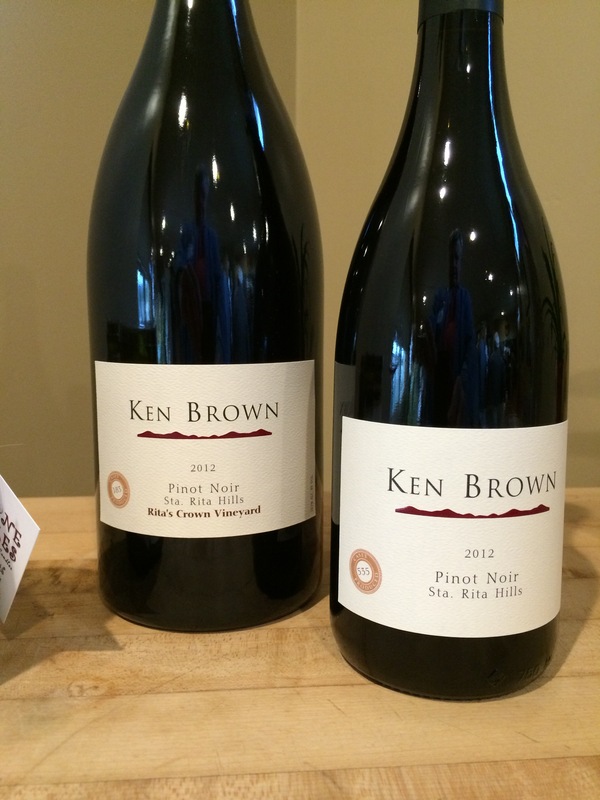 If you are in the Santa Rita Hills area any time soon, put Ken Brown Wines on you list of places to visit, You will not be disappointed (unless you only like the big, big wines. Then you better stick to Paso Robles).